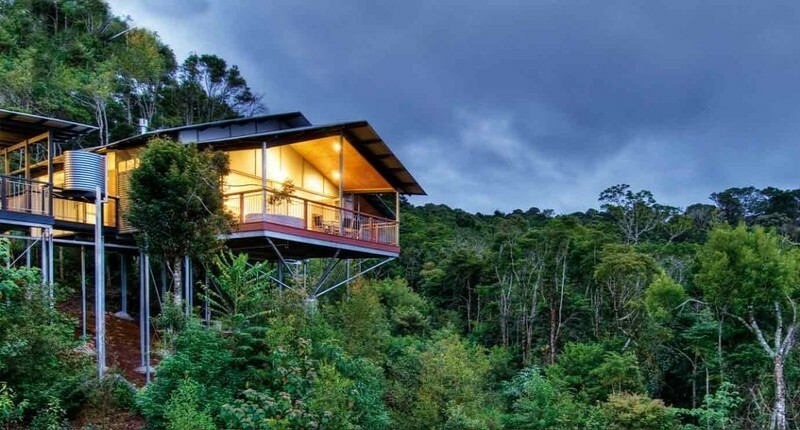 Retreat to a sub-tropical utopia covered in ancient rainforests, sprinkled with fresh water creeks, and punctuated by stunning waterfalls: O’Reilly’s Rainforest Retreat delivers all this and more. Awaken to spectacular sunrises while breathing fresh mountain air and enjoying absolute serenity. Gold Coast Hinterland escapes in the World Heritage Listed Lamington National Park are a holiday like no other, and O’Reilly’s have been providing unmatched service for over 88 years. Being completely immersed in the tranquillity of the rainforest is one of the things that makes O’Reilly’s a truly unforgettable escape from the daily grind. Situated on the western edge of the Lamington Plateau, the retreat sits 930 metres above sea level and is famed for its beautiful views of McPhersons Range and the Great Dividing Range. Seeing this panoramic imagery every day certainly adds a bit of magic to the holiday. 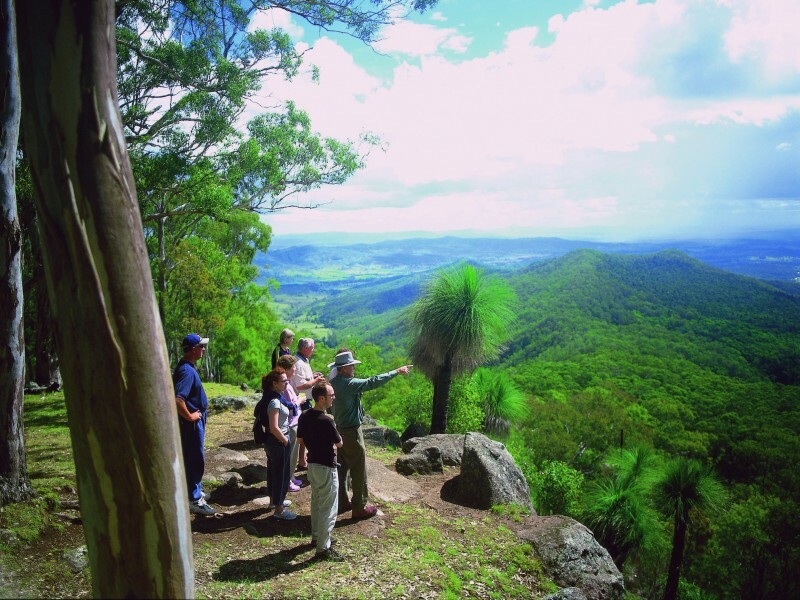 As well as breathtaking views the locations lends itself to an intimate and in-depth exploration of the native flora and fauna with over 160 kilometres of walking tracks, 500 picturesque waterfalls, and 250 unique species of Australian wildlife. On the drive to the retreat, it is an absolute MUST to stop by the O’Reilly’s Canungra Valley Vineyards for a wine tasting and bite to eat either in the gorgeous restaurant or you can pick up a picnic hamper to take down and enjoy by the creek. Being surrounded by the Heritage Listed National Park, the retreat is in the middle of all the action with the rainforest activities either walking distance or a short drive from the retreat. The rooms are comprised of two main options: one of 66 rainforest retreat rooms in a range of styles that are all free of the distractions of telephones and television or one of 48 luxury self-contained eco villa complete with modern designer decor, your choice of 2 or 3 bedrooms, and private spa! Situated 700 metres from the main building the villas have added privacy and are still only a short stroll to the mountain café and restaurant. The onsite restaurant at O’Reilly’s is a charming and ambient setting nestled amongst the greenery in the heart of the retreat. Due to its placement guests are often joined by a myriad of wildlife sitting outside the restaurant such as possums, bowerbirds, and even sugar gliders! The menu is well priced and offers many gluten free options as well as a varied beverage list that includes a selection from the Canungra Valley Winery. A family business operating since 1926 O’Reilly’s have always been enthusiastically committed to involving and educating guests about the sub-tropical rainforest, its native wildlife, and eco-system. One of the most popular ways in which O’Reilly’s achieves this goal is their famed suspension walkway. 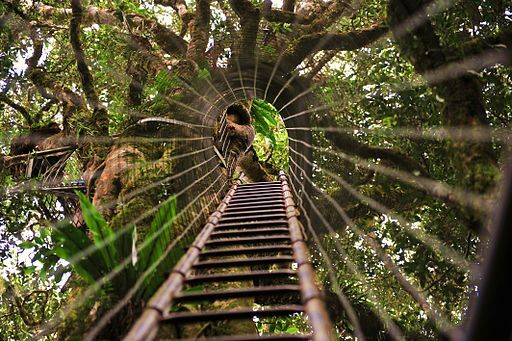 This entertaining activity is made up of a series of 9 suspension bridges raised 15 metres above the ground with spectacular views above the canopy and a number of profiles to assist guests in identifying the many types of flora. For even more of a rush, you can climb another whopping 15 metres higher to one of the two observation decks that sit above the suspension walkways accessible via ladders up the side of the strangler figs. The suspension bridges are a great activity for adults and kids alike that are educational, extremely fun, and complimentary to all guests of O’Reilly’s. There is also a daily ‘Discovery Program’ operated by the O’Reilly’s wildlife experts that take guests through an in-depth rainforest excursion to see the native animals in their natural habitats. The regimen also consists of informative rainforest tours, bird hikes and shows, 4WD bus adventures, and nocturnal walks. For the kids there is a special program called ‘Eco Rangers’ for children aged 4 to 14 that introduces concepts about the environment and the rainforests eco-system in a fun and creative way. It’s also a great opportunity for Mum and Dad to have some romantic couple time by either grabbing a picnic hamper to enjoy by the creek, heading over to the Lost World Spa for a couples massage, or simply having a glass of bubbly together. 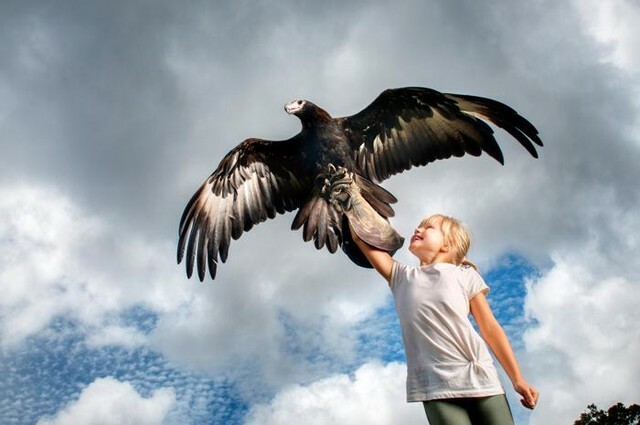 The Eco Rangers program runs through school holidays and during Queensland public holidays subject to numbers. A Hightide Hint is that it’s always best to call and check! 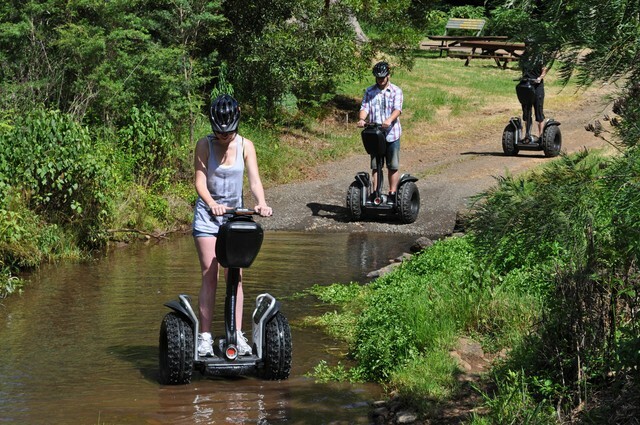 If you really want to get out and about in style, check out the O’Reilly’s rainforest Segway tour! For those who have never been on a Segway tour, rest assured there is a tutorial for beginners before you set off into the wilderness. The tour takes you through winding dirt trails, across creeks, and to the original O’Reilly’s family settlement before arriving at the grand finale – Moran Falls. The perfect end to a day of adventures though the sub-tropical rainforests is to visit the immaculate Lost World Spa for a range of relaxing and unique therapies. 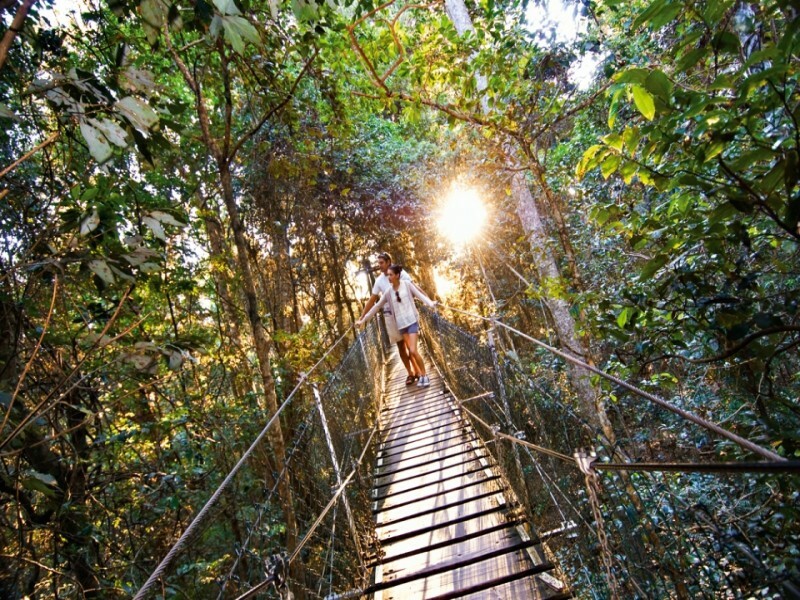 The Lost World Spa’s philosophy is to embrace the natural elements of the surrounding rainforest while providing therapeutic skin care treatments, holistic massage, and their unique and rare Vinotherapy, which employs the anti-aging effects of the Canungra Valley Vineyards grapes. The Lost World Spa is situated in a gorgeous location perfect for relaxation and rejuvenation either solo or with a loved one. O’Reilly’s Rainforest Retreat makes promises of a magical wonderland of a holiday with picturesque views no matter where you turn, hinterland adventures, and top-notch customer service – and absolutely delivers. 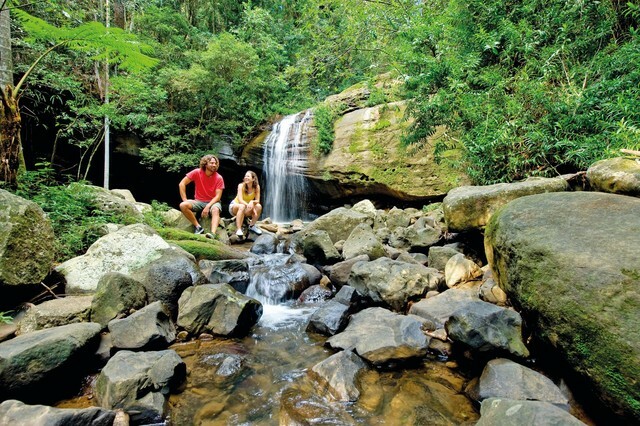 Speak to the Hightide team today to book your Gold Coast hinterland escape.